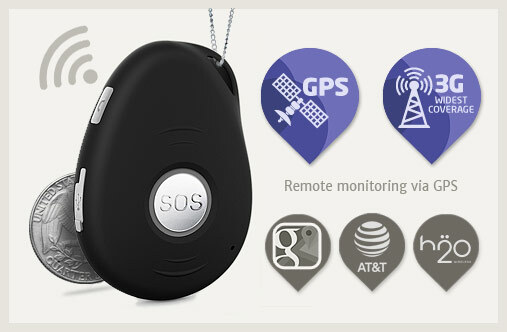 An SOS medical alert that works anywhere. Sends GPS location & calls up to 5 people including 911. Features automatic fall detection. Waterproof. 2 way hands free voice. Don’t waste money on expensive monthly monitoring fees. Instead, be monitored by the people who love you most – family & friends. Winner Choice Magazine 2017. Works with the 3G & 4G mobile network. When help is needed, just press the SOS button for 3 seconds until the alarm vibrates. 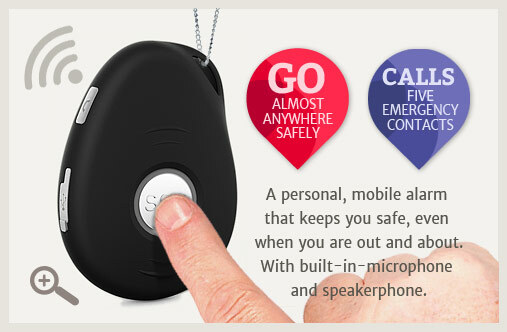 The device will text and sequentially call up to 5 emergency contacts (usually friends/family). 911 can be a number. Whoever answers first is the one that you can speak with in a hands free 2-way conversation. The emergency text messages include a link to Google Maps showing your GPS location. 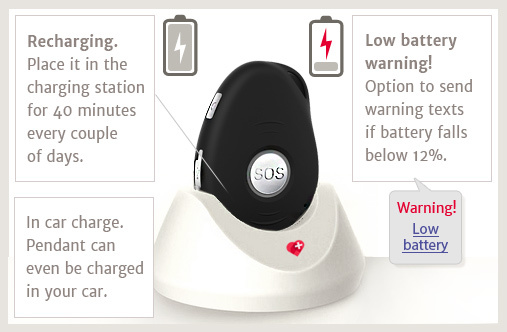 The medical alert stops the sequence of calls when you click the SOS button. The mobile alert is super lightweight and is comfortable to wear with the lanyard provided or on your favorite chain. If any of the contacts need to find you, they only need to send a text to the Mobile Alert. They’ll then receive a reply text with a link to your location on Google maps. Anyone knowing the number can call the Mobile Alert and the device will automatically answer in speakerphone mode. The phone icon button on the side of the unit allows you to call one of the contacts directly with a push of the button. No monthly monitoring fees ever. No monthly monitoring fees. 12 month warranty. 14 day no risk trial. Works everywhere there is 3G & 4G mobile coverage (covering 98.5% of USA). Calls up to 5 friends or family (can call 911) until someone answers. 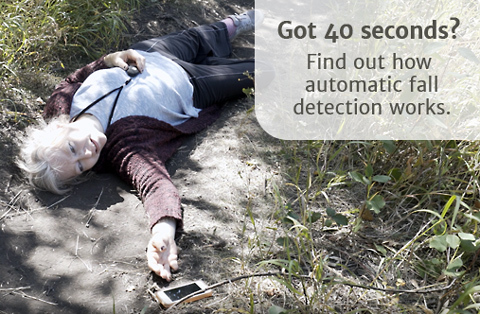 Automatic fall detection for serious falls. Sends “fall alert” to up to 5 contacts. Has 2 way “hands-free” voice with high quality, easy to hear audio. Family & friends can call the pendant. Pendant can call nominated contacts. Price includes programming & delivery. Ready to go out of the box. Pendant is waterproof, comfortable and weighs the same as three quarters. H2O Wireless (AT&T network) with $10 credit and auto top up enabled (only $36 each year from Year 2). Programming of up to 5 emergency contacts inc. 911. We set you up with $10 prepaid credit which lasts for 90 days and allows the alarm to make emergency calls. After the 90 days is up you’re automatically recharged just $9 for the next 90 days and so on. This is the cheapest plan available in the USA. 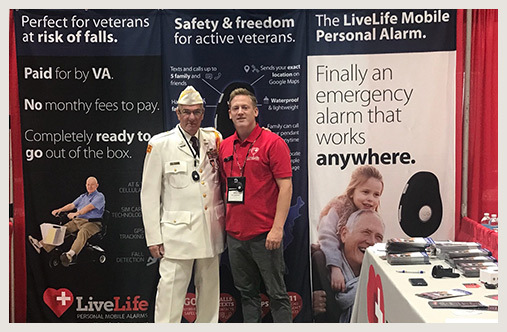 When used as an emergency medical alarm it’s unlikely one would use more than $9 per quarter making this alarm a very cheap long term personal alarm option. There is no contract, no monthly fees, and no flag-fall charges. You only pay for what you use. It’s incredible easy to add more credit if you need it. 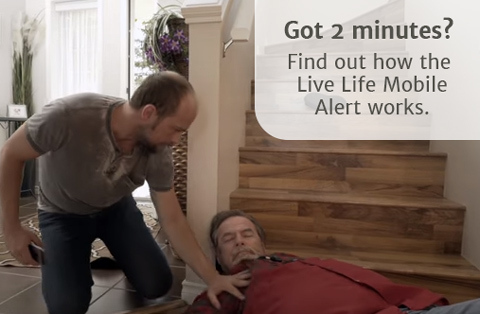 The LiveLife mobile alert system comes with a 14 day no risk trial. Uses Swiss precision UBLOX-7 GPS tracking to locate pendant with link to location in Google Maps to within 2 yards. 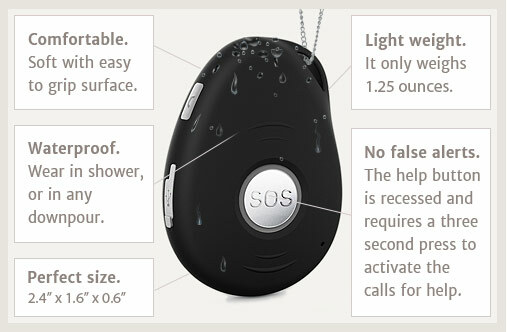 The alarm is waterproof and can be worn in the shower and heavy rain. No need to race to the phone anymore. 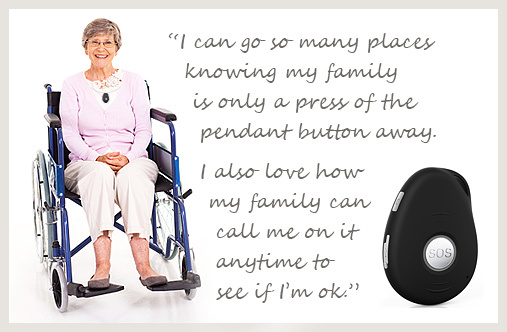 Have your friends & family call you on your alarm pendant! Enjoy more freedom of movement. No need to stay home all the time – this alarm works anywhere. 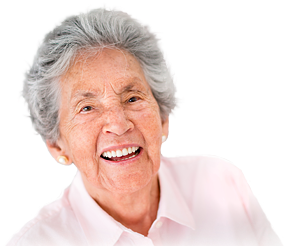 For family – stop worrying why loved ones don’t answer home phone. Just call them on the pendant. Don’t know where your loved ones are? 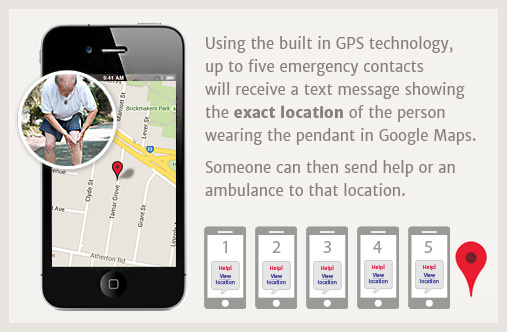 Just text the alarm pendant and receive a map of their location. Don’t worry about extra costs. No monthly monitoring fees ever. Use 911 as your insurance! If friends & family don’t answer, 911 will. Ready to go out of the box. No setup or install required. Has fall detection with 20 second delay to cancel. Detects height and angle of fall along with force of impact and time of no movement. 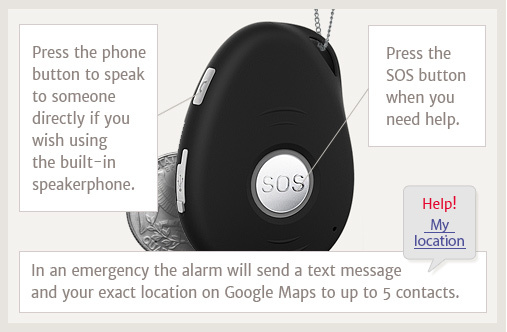 Unless cancelled by a “click” of the SOS button the mobile medical alert will send “fall down alert” to contacts with wearers position on Google Maps. 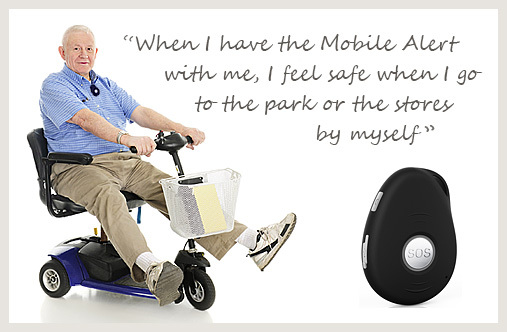 The mobile medical alert uses in-built microphone and speakerphone to communicate hands free. Loud, clear, easy to hear audio. Uses GPS tracking to locate pendant with link to location in Google Maps to within 2.5 yards. In an emergency calls and texts up to 5 contacts. Can include 911. Geo fencing option can be set so the mobile alert sends warning texts when user strays outside the geo fenced area. Battery low indication via text message to contacts. Mobile alert sends a low battery warning text message to a nominated contact when battery drops below 12%. International waterproof standard IP67. We encourage people to wear their mobile medical alert in the shower. 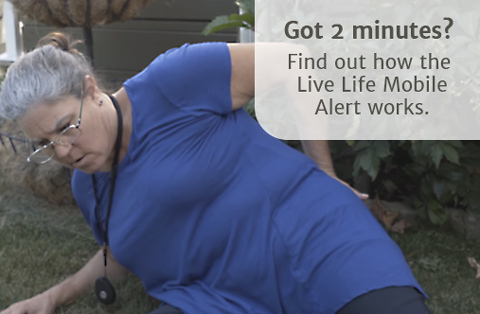 The LiveLife mobile medical alert receives and transmits on frequency band 850Mhz 3G WCDMA. Beware of products working on the old 2G network. That will be closed in the USA soon and those devices will stop working. 2.4in x 1.6in x 0.6in. Operates on the AT&T Mobile Network using a Prepaid Micro SIM card. Total cost just $9 per quarter. This covers emergency calls.